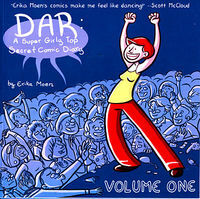 Exclusive Interview With Indie Cartoonist Erika Moen! Previous article Your Daily Horror: Get 60% off Nick & Dent Horror! Jericho to Continue in Comics . . . Again! Exclusive Eight-Page Preview for Jericho Season 3!